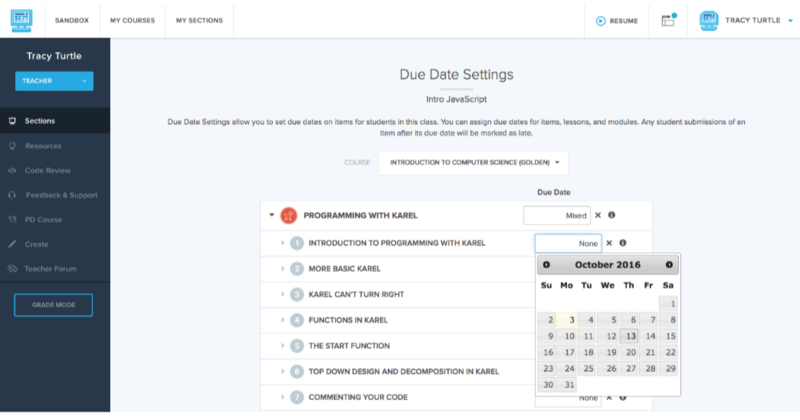 What are CodeHS Due Date Settings? Due Date Settings allow you to set due dates on items for students in this class. 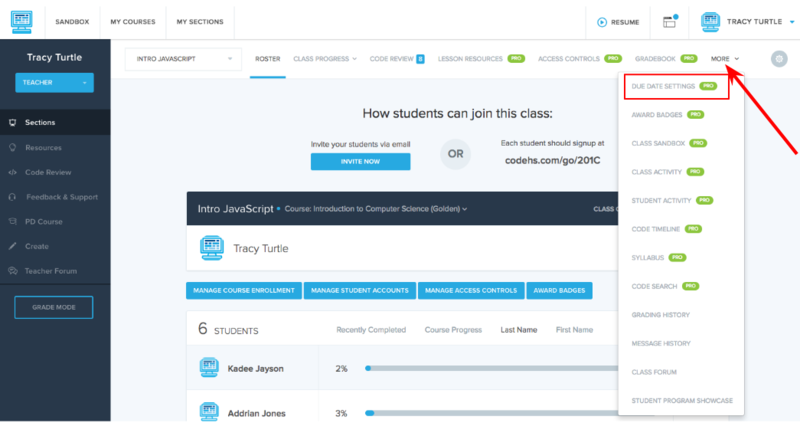 You can assign due dates for items, lessons, and modules. Any student submissions of an item after its due date will be marked as late.